1st Lt. William L. Tyson, son of Mrs. Mollie Tyson, attended Frederick High School. 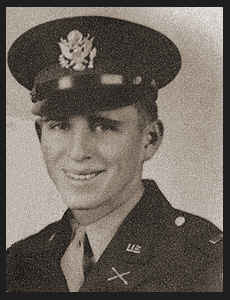 Entered Air Corps in Sept., 1942, trained in Camp Carson, Colo., California and Ft. Benning, Ga.; served in France, Germany and Austria; was killed in action in May, 1945, in Austria. Awarded DFC, the Purple Heart, ETO Ribbon, Am. Theatre Ribbon.